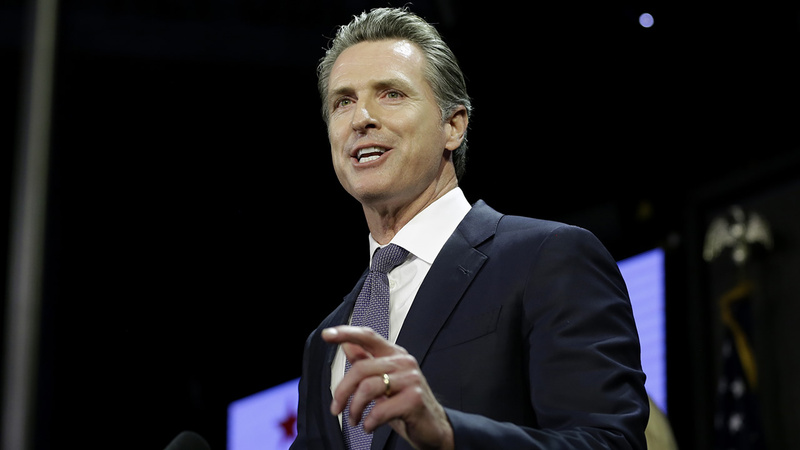 SACRAMENTO, Calif. -- Gavin Newsom has been officially sworn in as California's 40th governor. The Democrat served on San Francisco's Board of Supervisors and as the city's mayor for seven years. "It will be the honor of a lifetime to take the oath of office as California Governor," said Governor-elect Newsom in a press release. "But it seems appropriate to use this moment to unite as a state - stronger and more resilient than ever - to do whatever we can to ensure all of our fellow Californians, especially those impacted by tragic wildfire, have the opportunity to build a brighter future and pursue their dreams." On Sunday, Newsom hosted "California Rises: A Concert to Help the Victims of California Wildfire" at Sacramento's state-of-the-art Golden 1 Center. The relief concert helped fund long-term recovery and rebuilding for Californians and communities distressed and displaced by devastating and unprecedented wildfires in 2017 and 2018. All proceeds went to the California Fire Foundation, a nonprofit organization, which provides emotional and financial assistance to families of fallen firefighters, firefighters, and the communities they protect. These funds will be dedicated to long-term recovery and rebuilding for individuals and areas impacted by wildfires over the last two years. Earlier on Sunday, Governor-elect Newsom - who ran on a campaign centered on expanding opportunities for all children in California - and incoming First Partner Jennifer Siebel Newsom, parents of four young children, hosted a unique children's event open to the public at the California State Railroad Museum in Sacramento. Take a look at more stories and videos about Gavin Newsom.